ANA Holdings Inc. has invested in PD Aerospace Ltd., a Japanese company developing a craft to take people into space as early as 2023 that aims to rival Richard Branson’s Virgin Galactic Ltd. The airline, Japan’s largest by sales, invested ¥20.4 million ($179,000) into PD Aerospace in October, while H.I.S. Co., the nation’s largest publicly listed travel agent by sales, invested ¥30 million at the same time, the companies said in a joint statement with PD Aerospace Thursday. PD Aerospace, founded in 2007, is vying with billionaire Branson’s commercial space company Virgin Galactic and Amazon.com founder Jeff Bezos’s Blue Origin to ferry individuals to the edge of space in reusable craft. The Japanese company is first developing a smaller unmanned craft and will then build a ship capable of carrying as many as eight people 100 kilometers above the Earth. 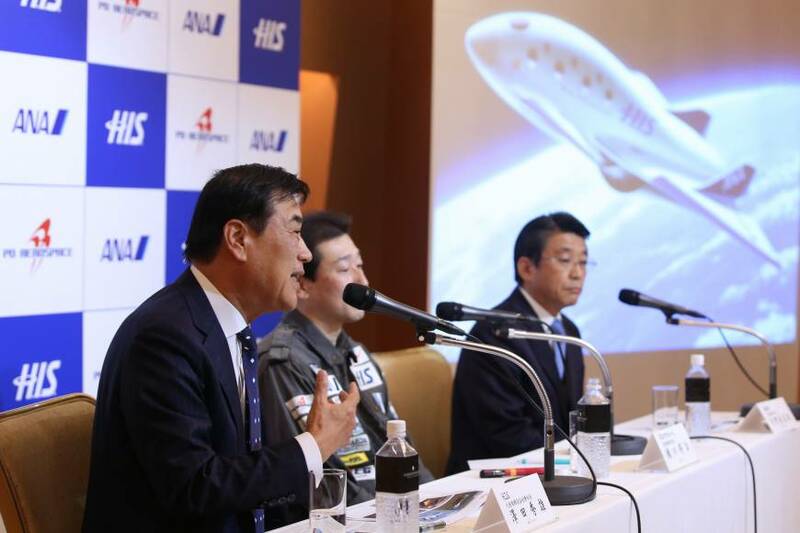 “We need bigger investments in the future,” PD Aerospace President Shuji Ogawa told reporters in Tokyo. Creating a space craft is “taking longer than planned because we didn’t have the funds,” he said. The company is aiming to start commercial flights with a manned craft in December 2023, it said in the statement. Its website listed 2020 as the targeted year. Virgin Galactic’s program had ran into difficulty, with SpaceShipTwo breaking up in mid-air in 2014, while Bezos’s offering has successfully fired and landed its craft. Virgin Galactic said earlier this year that it had almost 700 bookings at $250,000 a ticket. The cost could fall to less than $100,000 if other entrepreneurs can successfully create competing flight programs, stimulating demand and pushing down prices.